I think it's safe to say that most people’s favorite time of year is summer and I would definitely qualify myself as one of those people. I’m not sure if it’s the nostalgia of summer break as a kid, or if it’s the beautiful weather, but we can all appreciate a nice, gorgeous summer day. 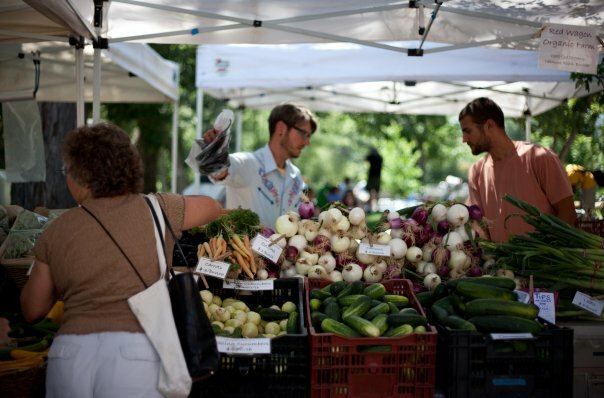 Going to the Boulder County Farmers Market is the only thing I ever want to do on Saturday mornings, and lucky enough, they also host them on Wednesday evenings (starting May 2nd)! Each Wednesday and Saturday, check out local fresh produce and tasty snacks! Starting on June 6, Band on the Bricks will take place every Wednesday until the end of the summer (August 8). Nothing is better than some live music on a warm summer evening. There’s always a variety of music so you’re bound to find something you want to tap your feet to or stand up and dance to like nobody's watching! If you’re looking for a way to kick off summer, check out the Boulder Creek Festival produced by Boulder Creek Events. Art lovers and foodies alike will love this community inclusive event full of fun, food and lots of festivities. One of the most exhilarating events in Boulder is the Bolder Boulder. This year the race celebrates its 40th anniversary so you can be sure there will be many activities and celebrations to participate in. Join the race or watch runners young and old alike inspire each other and their community at this event truly Boulder event. If you love beer you’ll love our new Downtown Boulder Beer Trail! Follow our path from the East End to the West End tasting some of Boulder’s best craft beers paired with delicious pub food. Conquer it in one day or spread it over a few! Whatever you plan to do this summer, we hope to see you down here on Pearl Street enjoying all of its many wonders.